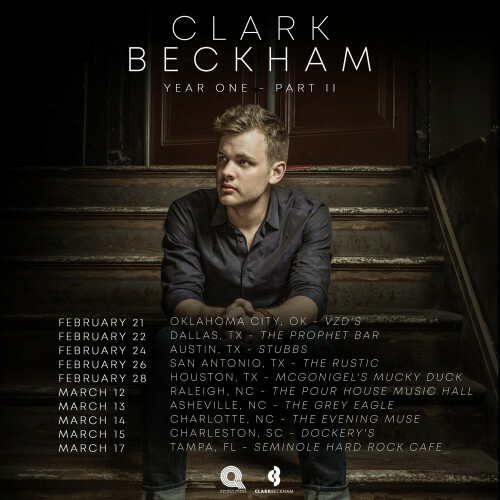 Dockery's is proud to present Clark Beckham! Clark most recently released his EP “Year One”, which debuted at #6 on iTunes Alternative and #22 on Billboard’s R&B Sales chart. His highlyawaited EP includes, “Must Be Hard Being You”, which was a collaboration with The Shadowboxers, and “I Need”, which was produced by Steve Jordan and features John Mayer's all-star band: Steve Jordan on drums, Pino Palladino on bass, and Isaiah Sharkey on guitar, with horn arrangements by Jerry Hey and Keyon Harrold.